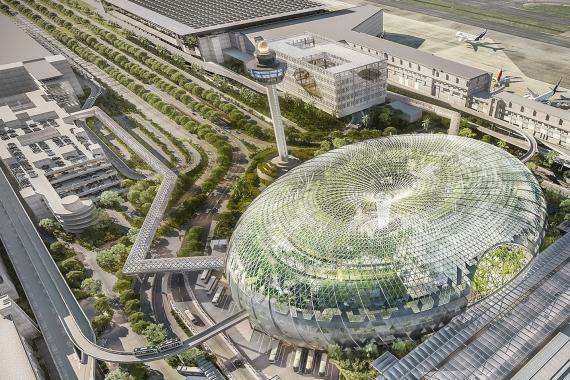 Singapore – 11 February 2019 – SUTL Corporation will open its biggest Nike store at Jewel Changi Airport in the first half of 2019. 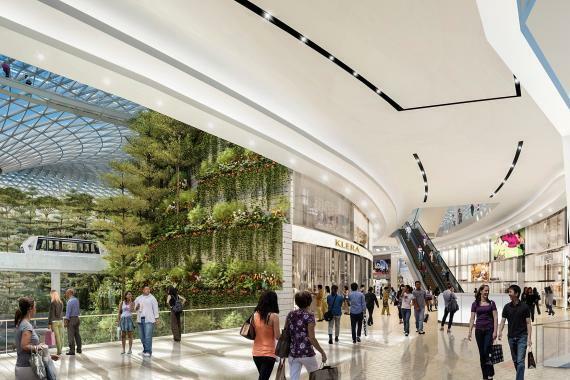 The store will be located on the second floor of the upcoming lifestyle destination located in front of Changi Airport Terminal 1. Spanning more than 1,000 square meters, the new Nike store will be the largest SUTL-operated store in Southeast Asia and India and boasts the latest and most extensive range of Nike footwear, apparel and merchandise in the region. It is also one of the 11 tenants occupying a duplex unit within the 10- storey mega complex that will comprise myriad offerings such as gardens and attractions, retail & dining, a hotel and facilities for airport operations. Shoppers who visit Nike at Jewel Changi Airport can look forward to customizing their very own Nike t-shirt and footwear at the Nike By You customization area besides gaining access to a comprehensive range of running, training, lifestyle and basketball head-to-toe assortment for all ages, in store. More than just another retail space, Nike at Jewel Changi Airport seeks to enhance shopper engagement. The store is carefully conceptualized with multiple touch points that offer customers a fully immersive Nike experience as they walk through the store. From in-store education and service to carefully-curated seasonal looks and displays, its appeal drives inspiration, innovation and vibrance at its core. As a leading consumer lifestyle goods company with a track record of more than 50 years, SUTL operates in more than 18 key markets across Asia-Pacific. Its strengths in retail operations have elevated the Nike brand and driven sales at its stores. The opening of Nike at Jewel Changi Airport will bring the total number of SUTL-operated Nike stores in Singapore to eight. This is a virtual invitation for you to RUN WITH ME in most road races all over my beautiful country, MALAYSIA and also in oversea places that I have visited.... Don’t run in front of me, I do not want to chase you. Don’t run behind me, I don’t want to be pursued. Run beside me…and share my PASSION. If you want to drum up your events (not limited to roadraces) in this blog, feel free to send me your press releases, entry forms, flyers, maps, invitations to your launchings etc. I would be delighted to get the first hand info for the readers of this blog. PACEMAKERS MALAYSIA | Spirit of Pia! Tahniah .. Malay outperform Carta! He who has ears, let him hear!